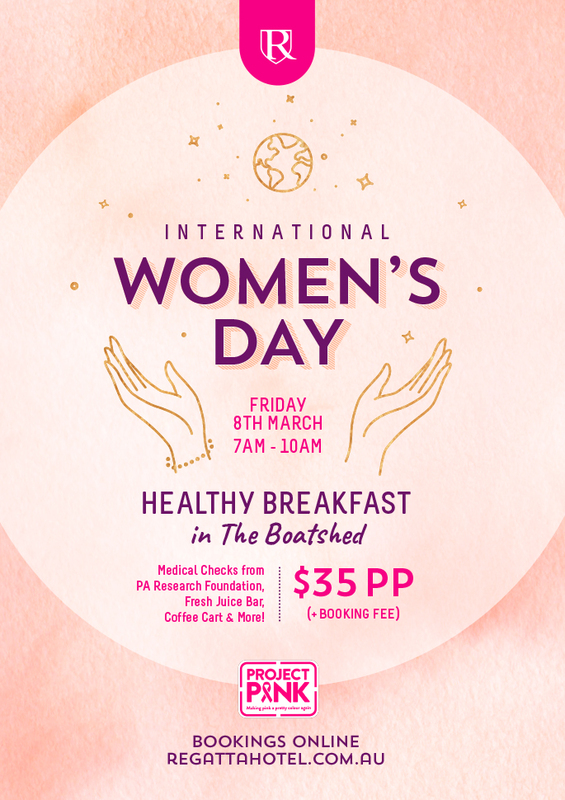 In celebration of International Women’s Day, Regatta Hotel and Project Pink are hosting a healthy breakfast in The Boatshed on Friday 8th March from 7am – 10am. Alongside a healthy start to the day, the event will involve medical checks from the PA Research Foundation, including BMI and blood glucose testing, breast screen information, a session on mammography led by a breast cancer researcher and general health information. There will be a fresh juice bar and the River Road coffee cart to enjoy throughout the morning. With prizes up for grabs and networking opportunities aplenty, this fabulous event is not one to be missed. At $35 per person + a booking fee, proceeds from the ticket sales will go towards the PA Research Foundation. Gather your #girlsquad and book in for a fabulous morning!